Eurasian Association of Youth Environmental Groups "Ecosystem" (Association "Ecosystem") is all-Russian non-profit association of youth environmental organizations. Our mission is ecological education of school students and teachers of Moscow, Russian Federation and former USSR republics. Association "Ecosystem" was founded in 1994 by a group of young biologists and educators, the former participants of the biological school group of the state Darwin Museum in Moscow. They had been filled with the ideas of the young naturalist movement and had worked out an unique experience of the traditional Russian ecology field education. The main activity of "Ecosystem" is an introduction of outdoor ideology and approach into the environmental education system, emphasizing children's involvement with concrete research work and nature conservation through different types of outdoor activities. Nowadays "Ecosystem" is an instructive-methodical center for the environmental education of school-children. It is oriented to work with Moscow city schools, institutions of the additional education and public environmental organizations all over the Russia that teach children ecology in natural settings. Details. Our basic training principle is ecological education in the field, in other words, education in the environment, during nature walks and field trips, in expeditions and field camps. Following our teaching philosophy, all the classes are held maximally close to nature. Teaching young ecologists and their leaders concrete ways of research and nature conservation in natural conditions is the essence and basis of all "Ecosystem" events. 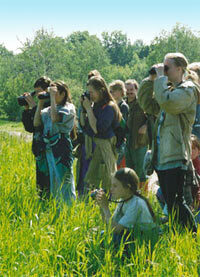 Our published manuals, videos and identification guides, field lessons and practices, conferences, seminars, and teaching courses are directed to mastering up-to-date approaches in field ecology and the ways of the environment research by the participants of the Russian environment and young naturalist movement. We don't teach to play ecology and "to ecologize one's soul". We teach to take a zooplankton samples, to measure the pollution, to describe vegetation, to count birds and mammals and how to do these with children. In this case "one's soul ecologizes itself". We consider adopting and spreading such an approach in education throughout the country to be the most important our mission for the future. We would like to see every child in Russia to be able to contact with and "research" real wild nature at least once or twice during his/her school years. And that is why we organize outdoor practical work for Moscow schools. We take schoolchildren of the city public schools to outdoor field practices for 3-4 days of their school-time. We aim at revealing before urban children the main objective of natural ecosystems' dynamics and functioning in different seasons. We feel that introduction of outdoor research practices into school education is necessary, because the information contained in the school textbooks is insufficient. Moreover, we believe that it is impossible to teach biology, geography and ecology remote from the living nature. What is the essence and importance of the "naturalistic" approach and why it is useful for schools? It's quite evident: nobody can think in environmental way without understanding precisely what we call "Nature", and also what Nature is, what it consists of, how it feels and what it needs. The "Ecosystem's" work and its form of the environmental education puts ideology of young naturalist movement into practice! Woods, wild nature and environmental education cannot be divided. Every reasonable person (not only an ecologist) must know something (have at least a short contact) about the uncontrollable world living according to its own rules, known as Nature. Ecological Field Studies. Since 1996 different resource materials on outdoor ecology have been published for school-teachers and teachers of the additional education: forty instructive-methodical manuals (in Russian), instructive Ecological Field Techniques Materials (in English) - 40 videos and 40 manuals explaining how to arrange scientific-research work with children in nature, computer-based multimedia identification guides (trees in winter and summer, wild flowers, insects and birds), printed color identification tables for plants and animals of Russia (in Russian), and so on (see list of publications). First in Russia we developed a Resource Book for Environmental Education for children (in Russian). 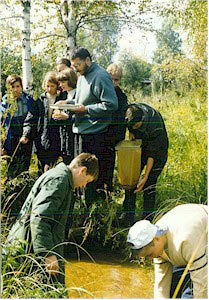 Among the instructive events from 1995 since this time we can mention 45 conferences, seminars, courses for educators, over 60 field camps for young ecologists from all over the Russia, and hundreds of 2-4 days field practices for Moscow school-students. All these practical events since 1995 we are arranging at our own field biological forest station - Ecosystem Center for Field Studies. 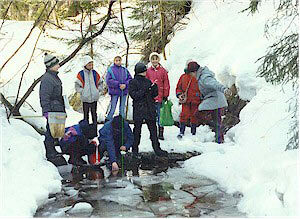 In 2007 we are going to publish a book "The Field Studies Practices for school students of 5th - 10th grades" that will include a set of videos that summarizes the "Ecosystem's" experience in teaching outdoor environment practices for Moscow schoolchildren. In 2006 we opened two new sections of our site, that can be useful for foreign visitors. First is Russian Nature in Photographs NEW !!! (there is a full English version of this section). This is a joint project of two Russian environmental organizations - Field Ecology Center "ECOSYSTEM" and independent group of Russian professional biologists called RUSBIOPHOTO group. The main aim of both our organizations is to provide biologists, geographers, school teachers and all nature-lovers by scientifically reliable information about nature objects of Russian Federation and all former USSR territories. Browsing this section of our site you will find a few thousand images of different nature objects - beginning with lichens and fungi and finishing by mammals and landscapes. Some samples from the section Russian nature in photographs. See also: Gallery. with a help of standard Search Form (you can search scientific (Latin) names of species, genus, family, or order).  All pictures have small preview and middle-sized image for free download. If you want to use image for professional (commercial) use there is a possibility to communicate with authors for buying the picture. We also want to keep your attention that this collection was made by professional biologists and geographers (as against of hundreds of other similar sites) - all objects from our collection are determined by scientist and have exact scientific name, date and place of taking picture, as well as a size of the original image. These pictures are not so professional as in previous section, but may be useful for those who want to illustrate their scientific or educational articles and reports, as well as student reports and papers. All images are 1024 x 798 pixels and can be downloaded from the site for free. This section has English version - all pictures have English names and explanations. Another, additional section of our site that may also be useful for foreign visitors is Russian Plants and Animals. This section is only in Russian, but it includes about 700 images (scanned from originals - real nature objects) of our native plants (trees and shrubs, wild flowers) in different seasons, as well as drawings of water invertebrates, insects and birds. Each object has scientific Latin name, so you can find necessary image using search form.